Let’s go over some key elements of the Digestive and GI systems in this EMS Quick Study Tips video. Get more information on the EMS Quick Study Guide by clicking here. Should We Lie To Patients? When your patient asks if he is having a heart attack, do you tell him, no matter how bad the 12 lead looks? Have you ever avoided these quesions, told white lies or just plain lied in what you thought was the best interest to the patient? What do you think? When does a patients stress level or anticipated reacition influence what or how you tell them? Understanding key tips for pediatric shock can help EMS providers stay ahead of the curve and treat pediatric patients during compensated shock. Helping to prevent progression to decompensated or irreversible shock. Listen to this Monday Minutes for some key points to keep you ahead of the game. Whose Patient Is This Anyway? EMS goes beyond just you and your partner. 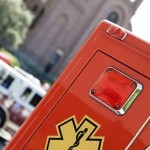 Other EMS agencies, first responders, law enforcement and even doctors all may be a part of your next call. How do you deal with this interaction, decide on patient care and transport? Is it as simple as higher medical authority? Should it be? Listen to this episode and post your inter-agency interactions, patient treatment & transport decisions and whose patient is it anyway in the comments below. Did You Give Your 5cc’s of Life Today? Ever feel like you are performing tasks and skills to satisfy paperwork, your boss or the ED? What about the patient? How are they benefiting from a saline lock, nasal cannula or EKG? When do you decide treatment vs. CYA.